I am tiny. And I probably will remain small. Though I look like a toy, I am a cat. A sweet, loving individual. Still a bit shy, but learning fast. Open to life and very open to meeting you. I am white like moonshine and like to keep myself spotless. Comment. We don’t know a lot about Fiflu’s history. His stunted growth might be due to his mother being unable to sufficiently feed her litter. Fiflu is FIV positive, but otherwise healthy and active. And he is gradually, but extremely fast, building up his trust in humans. 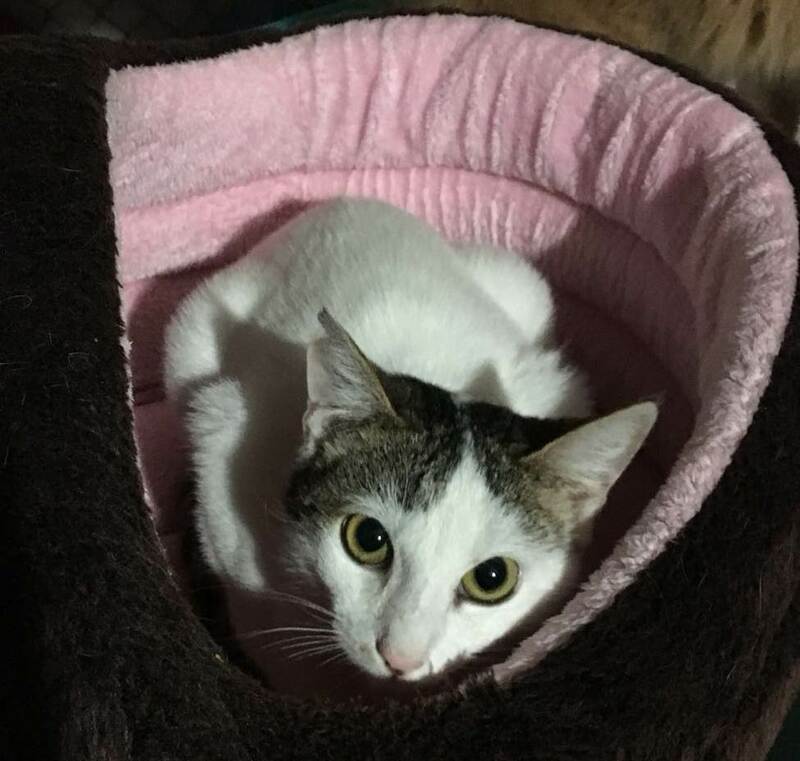 If you understand cats’ needs, are informed about FIV and want to provide an open minded, sweet kitten with a happy and stable life, Fiflu would be only too happy to become your cat.